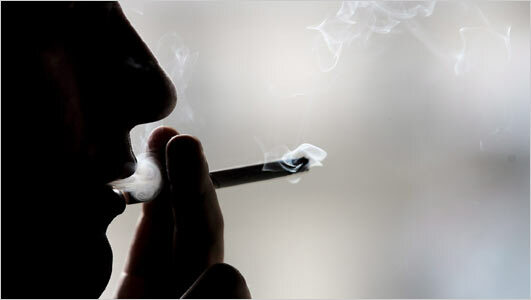 Vaping is an excellent alternative to smoking tobacco cigarettes. Research shows that it is significantly safer, and there is no doubt that it has helped countless people kick the cigarette habit. One analysis even found that as many as 3.3 million lives could be saved by vaping by 2070. Since vaping produces vapour instead of smoke, you can do it anywhere, right? Actually, that is where things get a bit more complicated. In many places, the regulations surrounding vaping are the same as those that apply to smoking traditional cigarettes. Despite the benefits of vaping, there are still some risks, and not everyone agrees that it is something that should be done everywhere at your leisure. Even if there aren’t any rules or restrictions where you are, it is still important to consider others before whipping out your e-cigarette. Showing a bit of consideration is the courteous thing to do, and it keeps you from giving vapers a bad reputation. Here are a few crucial etiquette tips that every vaper should know and frequently utilize. When you are in a public place, your best place is to treat vaping like smoking — especially when you are unaware of the rules. Passive vaping has been shown to cause no harm, but there are still many people who don’t want to be surrounded by the massive clouds from your e-cig. If you are in public and unaware of whether vaping is allowed or not, act with a bit of common sense. First, ask for permission. If you are told you are not allowed to vape, respect the rules. Don’t be a “stealth vaper.” Sneakily vaping where you are not permitted to do so is disrespectful, and it gives vapers a bad name. Vaping devices come in a huge assortment of sizes, styles, designs, etc. They can be modified in countless ways, and the results can be rather impressive. If you are the proud owner of an incredible vape mod, it may be difficult to understand why anyone would want to use a basic cigalike. Remember, though, that the device you use doesn’t make you superior to anyone else, and that being a snob isn’t going to earn you any friends in the vaping community. Don’t be a jerk to smokers, either. If you have successfully switched from tobacco cigarettes to e-cigarettes, you may feel like you have the right to criticise smokers like non-smokers once did to you. Keep in mind that everyone is free to make their own decisions, and you have no right to look down on smokers (or anyone else) just because you vape. There is nothing wrong with teaching others about vaping, though — especially if you do so in a friendly, respectful way. If you vape, you should at least have a basic understanding of the science of vaping and its benefits. With this information in hand, you can educate others who may have been misinformed. Don’t, however, lecture smokers about the dangers of tobacco cigarettes or shout at non-smokers who are misinformed about vaping. Instead, provide calm and polite correction. In doing so, you could make the world a bit better for your fellow vapers. E-cigarette vapour is harmless, but that doesn’t make it acceptable to go around blowing it in other people’s faces. Vapour is not nearly as annoying as cigarette smoke, but having it blown directly in your face is still pretty irritating. This practice even tends to annoy other vapers. No matter how impressive of a cloud you are producing, be sure to blow it toward an area where no people are present. You probably would never pick up someone’s cigarette and take a puff without permission, so why would you do so with an e-cigarette? Unfortunately, though, it seems to be a pretty common occurrence. No matter how enticing your friend’s new vape liquid flavours, you should never use their device without first asking for permission. It’s only polite. Cloud chasing is undeniably enjoyable. Creating the biggest cloud possible is fun, and it can look quite impressive. Those massive vapour clouds can also be rather intimidating to non-vapers, though. If you want to cloud chase, go for it. But be mindful of where you do it. A busy city sidewalk probably isn’t the best environment for this activity. An open area in a park, a vape store or a vape-friendly bar is a much more appropriate venue. Vaping has only been around for a little more than a decade, so it is still relatively new. Laws and regulations surrounding the use of e-cigarettes are still emerging, and there is a chance that vaping could be treated as harshly as smoking. Practicing good etiquette helps vapers form more positive public opinions and could help the general public become more accepting of vaping. Etiquette also matters because it is, quite simply, good manners. Behaving courteously in public helps establish vaping as a relatively harmless activity, rather than an annoying vice. Showing a bit of respect and self-control makes you look like a much better person and keeps everyone around you happier. Do you really need any more reason than that to practice good vaping etiquette? Meta Description: Vaping has become widely accepted, but it’s still important for vapers to practice good etiquette. 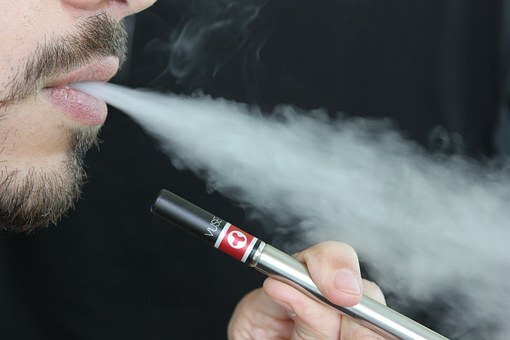 Click here for a few crucial vaping etiquette tips.